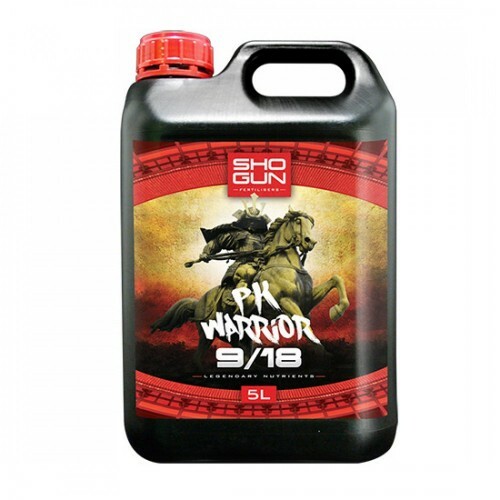 Shogun PK Warrior 9/18 is a flowering additive that is used alongside your base nutrient to increase levels of phosphorus and potassium (two primary macronutrients) during the later stages of the bloom phase, when your plants need them most. 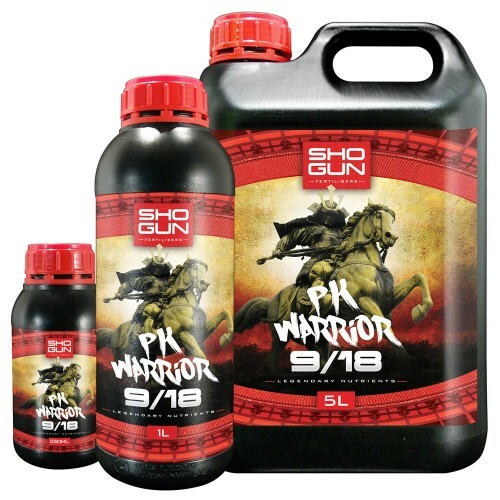 Unlike many other PK boosters on the market, Shogun PK Warrior has a ratio of 9/18: for every 100 parts of undiluted feed, 9 parts are phosphorus and 18 parts are potassium. Whereas most PK boosters are used for relatively short periods of time around three weeks before harvest, PK Warrior’s 9/18 ratio can be used effectively from week 4 of the flowering phase right up until the final flush, 1-2 weeks before the finish. 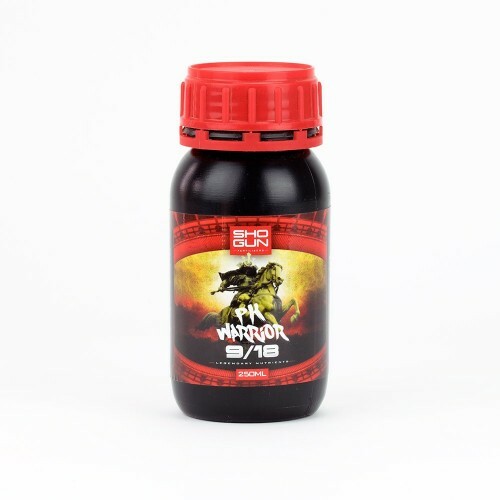 The effects are nothing short of miraculous – Shogun PK Warrior stimulates essential oil production to the point where there’s a huge visible increase in density. We highly recommend supplementing with Shogun Silicon and Calmag to increase the structural strength of stems and branches accordingly – otherwise, they may well struggle to support the weight!